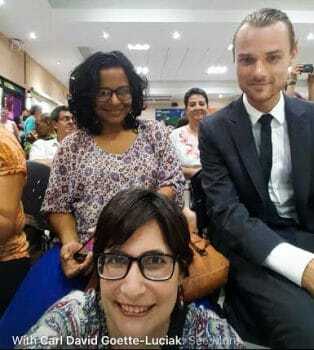 Just before the coup erupted in April, Vijil was in Washington for a “high level executive meeting,” according to Yaser Morazan, an MRS activist whose “Agente de Cambio” initiative and social-media training have been sponsored by USAID—an arm of the U.S. State Department—and the U.S.-funded Instituto de Estudios Estratégicos y Políticas Públicas (IEEPP). Three weeks before the coup, Morazan posted a selfie outside IEEPP’s office promising a series of “surprises” and pledging his secrecy about them. As a leftist, I was intrigued by where the Sandinista revolution—which to me was a very utopian idealistic revolution and a great example of potential social change for Latin America—where it had gone awry. The MRS was established to expose and exacerbate the supposed failings of the Sandinista front. Founded in 1994 by ex-Vice President Sergio Ramirez and a collection of ex-FSLN militants—most of them from more affluent, educated backgrounds than common Sandinistas—the party’s disruptive agenda made it a natural candidate for assistance from Washington. 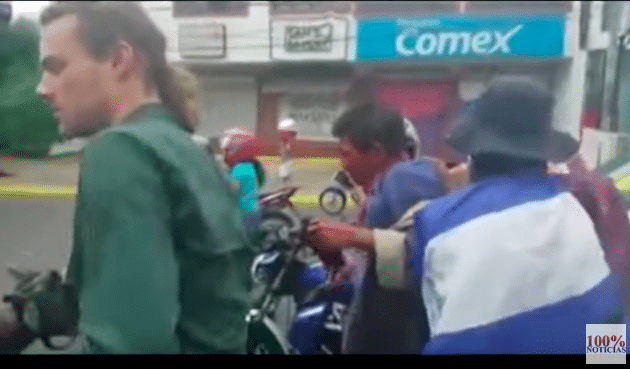 In 2006, the MRS and the U.S. government plotted to prevent Ortega’s election. A September 6, 2006 U.S. embassy cable—revealingly entitled, “MRS: We Want To Bring Ortega Down”—laid out some of those plans. Authored by U.S. Ambassador Paul Trivelli, the cable described a meeting between the ambassador and Israel Lewites, the nephew of MRS presidential candidate Herty Lewites, who had just died from a heart attack. I am … a Miskito Indian. I too, am a potential victim of totalitarianism. 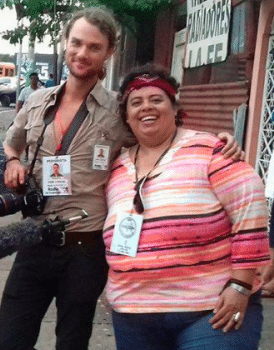 In his interview with Edge of Adventure, Goette-Luciak cited the killing of Angel Gahona—a reporter he described as his “neighbor” in the city of Bluefields in southeastern Nicaragua—as his inspiration for moving into the field of journalism. A young man standing a few yards from me was hit by a bullet in the head, and standing behind him, what I saw was the back of his head explode like a watermelon that got dropped. 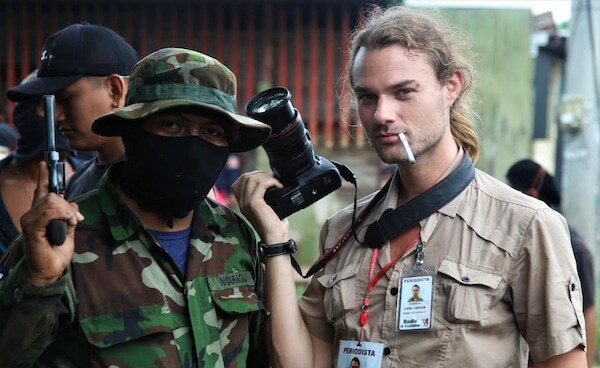 The only other record of Goette-Luciak’s photojournalism existed at the Edge of Adventure website, which had published about 20 images he captured—one of which depicted him posing with an opposition gunman. 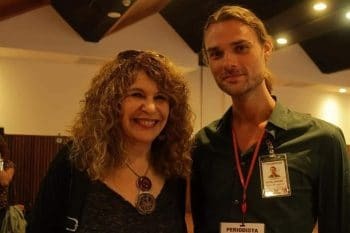 The Edge of Adventure is a little-known media site founded by Adam Asher Wattenbarger, a self-styled travel journalist who is listed as an executive at the right-wing, Christian-oriented Salem Media Group. And I no longer consider myself as an activist for or against any particular cause.